Bearded since: 1985. I am a dedicated, permanent beard grower. 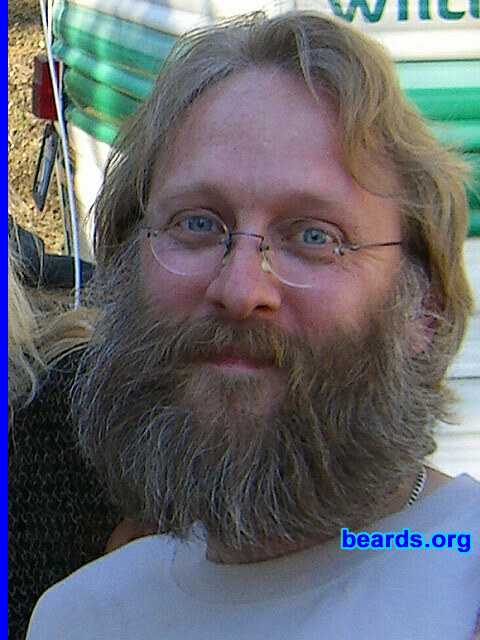 Here is my beard in 2003. At 38, it's greying quickly, but I never considered coloring it. This is my minimun length. I will never ever have a shorter beard. Why should I? How do I feel about my beard? I enjoyed my beard from day one and always wanted more than I could have. Sometimes there were social pressures, so it would be cut off but only to regrow it right away.